Long flights and curtailed sleep can leave a jet setter looking depleted. Sample the best in globetrotting glamour to boost warmth and radiance. These travel sized essentials will keep you looking fresh and polished, whether at home or abroad. Apply mid-air and once safely landed. Violet Code approved and TSA friendly. Exclusive to VIOLET GREY. Limited quantities available. Trying to fit (or, for that matter, even find) travel-sized versions of your favorite products can take more time than packing itself. 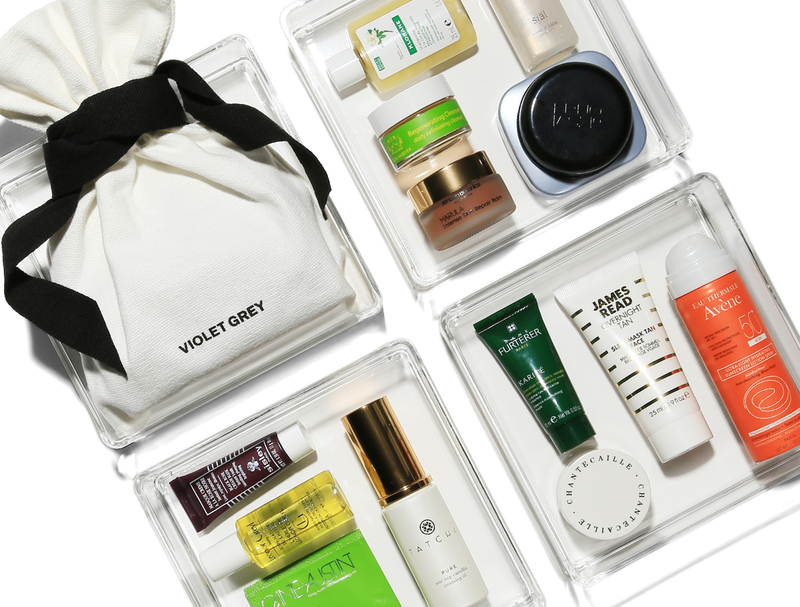 The new TSA-friendly beauty kits are one-stop shops for small iterations of high-end makeup, skin, and hair care.